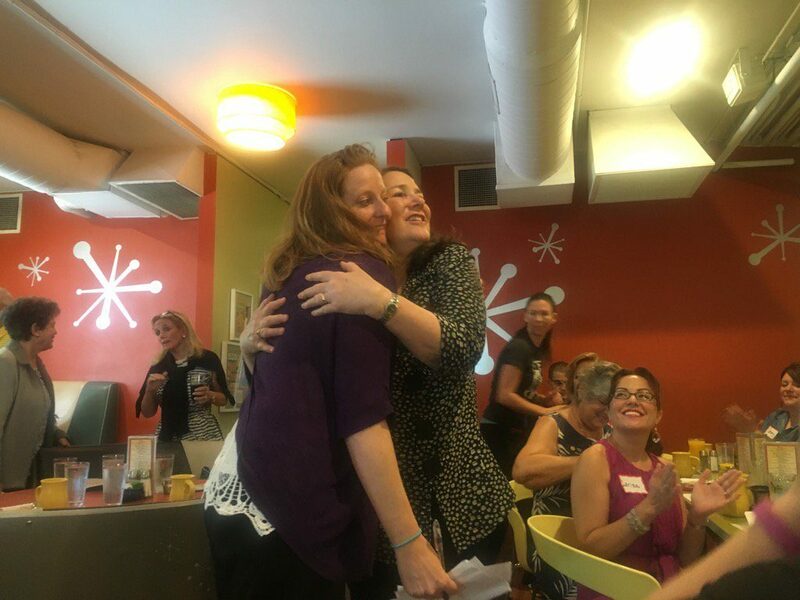 Colorado Peak Politics | CAPTION THIS: Is This the Most Awkward Hug Between Morgan Carroll and Diana DeGette? CAPTION THIS: Is This the Most Awkward Hug Between Morgan Carroll and Diana DeGette? It’s not often we come across a photo so ripe for ridicule as the photo below of Democratic U.S. Rep. Diana DeGette and Democratic wannabe Congresswoman Morgan Carroll. So many questions. Why does Carroll look so, so terrified? Does Morgan Carroll ever NOT wear purple? Winner of the best caption gets the satisfaction of knowing that you’ve totally gotten under these ladies’ thin skin. Congratulations.